Architects, historians and scientists discussed measures to preserve Co Loa - Hanoi’s oldest citadel - and promote its cultural and historical value at a conference in Hanoi last weekend. Hosted by Tia Sang Magazine, the “Co Loa: From Core Values to Preservation and Development” conference was held because the relic site faces encroachment and damage despite the city’s efforts to protect the citadel, which is also one of the oldest relics of Vietnam. The conference gathered many renowned Vietnamese experts as well as members of heritage management boards. With its unique historical, architectural and archeological value, the citadel was recognised as a national relic since 1962 and as special national relic since 2012. Before 1995, the Co Loa Citadel was managed by local authorities before being handed over to several management boards. It was not until 2014 that the management board of the citadel was officially established as a unit under the Thang Long- Hanoi Preservation Centre. 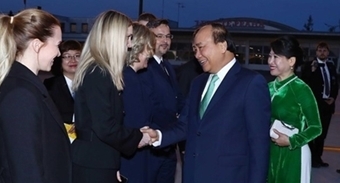 A master plan on the preservation and restoration of the Co Loa Citadel in Hanoi to develop the site into a historical and ecological park was approved in 2015 by then-Prime Minister Nguyen Tan Dung. According to the Co Loa Citadel Management Board, the relic is now under serious encroachment due to the low awareness of locals. For example, they cultivate crops even on the city wall, raise fish in the dyke and have even been granted land ownership. Some parts of the citadel have become roads. Many components of the relic with special archeological values have nearly been vanished due to the expansion of nearby residential buildings. However, the functions of the management board include inspecting, discovering and reporting violations but not penalizing violators; however, most of their reports to the local authorities have not received any responses yet. According to Le Viet Dung, deputy chief of the Co Loa Citadel Management Board, they are granted permission to manage the core of the relic, including the Inner Citadel, An Duong Vuong King Temple or Ngoc Well, as well as several lands nearby their head office, covering a total area of four hectares. Meanwhile, the other parts of the relic, which is nearly 900 hectares, and three rounds of the earth walls are under control of the local authorities and citizens who consider them as normal land, not a relic. Professor Nguyen Van Huy judged that with proper vision and investment, the citadel would become one of the most attractive destinations to tourists of the capital, largely due to the associated historical stories and well-preserved natural surroundings. However, such tourism potential faces the risk of encroachment amid rapid urbanization and people’s demand to improve their lives, he said. He also mentioned the emerging problems of the relic’s poorly defined borders, as well as its direct managers and their duties. “The management lacks unification, synchronization and concentration,” he added. The United Nations Educational, Scientific and Cultural Organisation (UNESCO) have issued guidance on tourism management within heritage sites, which have clarified that every sustainable tourism programme demands the involvement of the beneficiaries or concerned organisations. The “awakening” of the heritage therefore requires state policies and enterprises’ investment. According to Tran Thi Thu Thuy from the Cultural Department of UNESCO, encouraging the community’s involvement demands building trust. “The local authority must publicise all the information about the policies of development, interact with the locals and ensure their commitment,” she said. “We are preserving the heritage with a ‘downwards’ point of view. Viewed from above, only economic or political benefits can be seen, not the locals’ needs. If viewing from the locals’ position, the authority will understand their problems and simultaneously help them realise what they need to do to preserve the relics, to develop tourism and how they will benefit, she stressed. Reckoning that it’s better late than never, Professor Huy added that in order to promote the values of the Co Loa Citadel, leaders of Hanoi need to renovate their viewpoint and prioritise boosting the relic to become the most highlighted attraction of the capital. The Co Loa Citadel was built near Phong Khe, about 20 km to the north of today’s Hanoi, during the end of the Hong Bang Dynasty (about 257 BC). 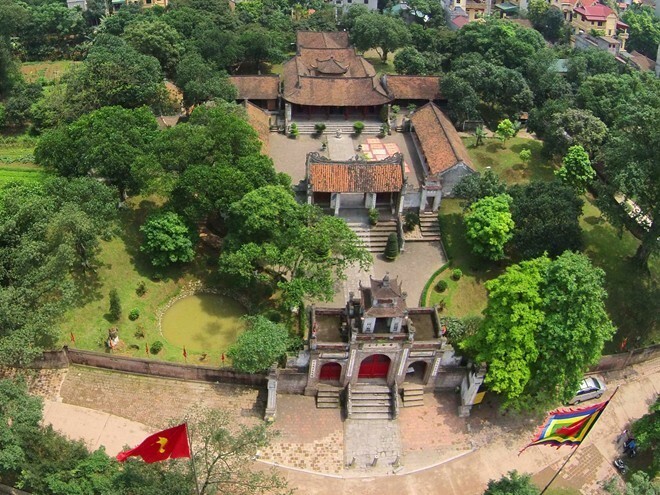 Covering nearly 500ha, the citadel is a place of worship for King An Duong Vuong and Princess My Chau, who are mentioned in the magic crossbow legend that has been woven into the history of Vietnamese people. According to folklore, An Duong Vuong founded the ancient Vietnamese state of Au Lac and chose Co Loa as the capital city.